Lynn’s Quality Oysters has deep roots in Franklin County. 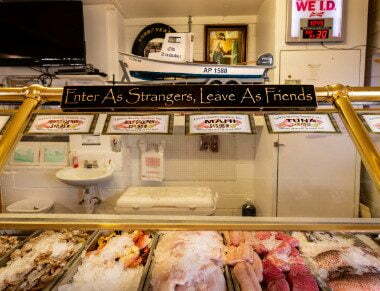 Born and raised in Eastpoint, owner Lynn C. Martina was raised in the seafood industry. Her mom and dad, John (Tiny) and Sherrill Carroll, worked in the seafood business for nearly 30 years. Established in 1971, their business was named Braxton & Carroll Seafood, Inc.
Lynn started shucking oysters at her parents’ seafood house at the young age of nine. When the school day was over, she would hop off the bus on Highway 98 head straight to the shucking stall. After Lynn graduated from school, she started a career in banking. In 1997, when her parents were ready to retire, Lynn bought the business and renamed it Lynn’s Quality Oysters, Inc. Since then, Lynn has a made a name for herself in the Franklin County seafood industry. 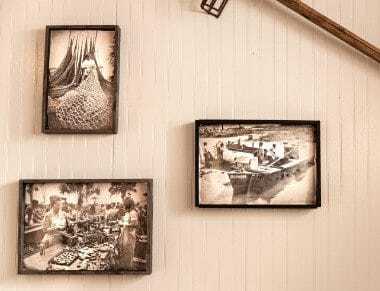 As one of the longest standing packinghouses in the state of Florida, Lynn’s Quality Oysters has developed a strong reputation for first-class seafood and satisfied customers. As a family owned and operated business, Lynn’s Quality Oysters employs a team of solid, dependable workers. Most of our staff members are friends and family we’ve known all our lives. Lynn’s son, Brandon (the fourth generation) recently joined the team. Our employees work hand in hand and side by side. Our oysters are delivered all along the Gulf Coast and across Florida. We will also ship your oysters to you whether you’re in state or out-of-state by overnight or next day shipping. Lynn has been married to her high school sweetheart, Greg Martina for over 38 years. They are the proud parents of two children. Their daughter Kayla Barron is married to Greg Barron of Panama City, and their son Brandon is married to the former Whitney Heyser of Apalachicola. Lynn and Greg also have four wonderful grandchildren, Ally, Parker, Madison and Brady.